"I am keen to help promote the online estate agency industry in 2016. I believe there are going to be thousands of people keen to make a leap onto the property ladder in the new year, and the format offers a more cost – and time- effective method. I think many people still view online agents with a certain degree of wariness, however we have great record for efficiency and customer service with our existing customers, and we are happy to be leading the way in customer service. I hope to continue with our existing record and get more people converted to online in 2016!" "I really enjoy helping move transactions along to completion, whether it’s a property sale or a letting, so my news year’s resolution is to make sure that I help as many people find their perfect properties as possible!" 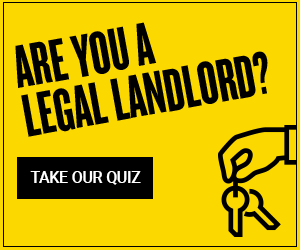 "My new year’s resolution is to help ensure that all the landlords that we work with fully understand the requirements that are expected of them with regards to the new Right to Rent legislation that comes into force on February 1st. The entire team here at urban.co.uk has been fully briefed on the new regulations and are on hand to offer advice and assistance, but I am keen to make sure that nobody is caught out by the new rules!" "I am the Tenancy Agreement Queen here at urban.co.uk, and in the new year, my resolution is that I will get to continue my reign! Many of our landlords choose to build bespoke documents tailored to the requirements of their property or contract needs, and myself or my loyal subjects (the rest of the team!) are always more than happy to create these for you – long live tenancy agreements!" "I was delighted to receive a great review on our online review site, Trustpilot, this year, and I am aiming get a few more in 2016. It’s always really good to hear that you have been able to go above and beyond for a customer, and when they take the time to leave you a review it means a lot, so It would be great to get some next year! "I am often responsible for the online chat feature on the website, if you use it you’ve probably spoken to me! In 2016, it’s my mission to make sure that all of our customers know that we are available on this function (or phone, or email!) seven days a week!" Comments for Our New Year's resolutions!